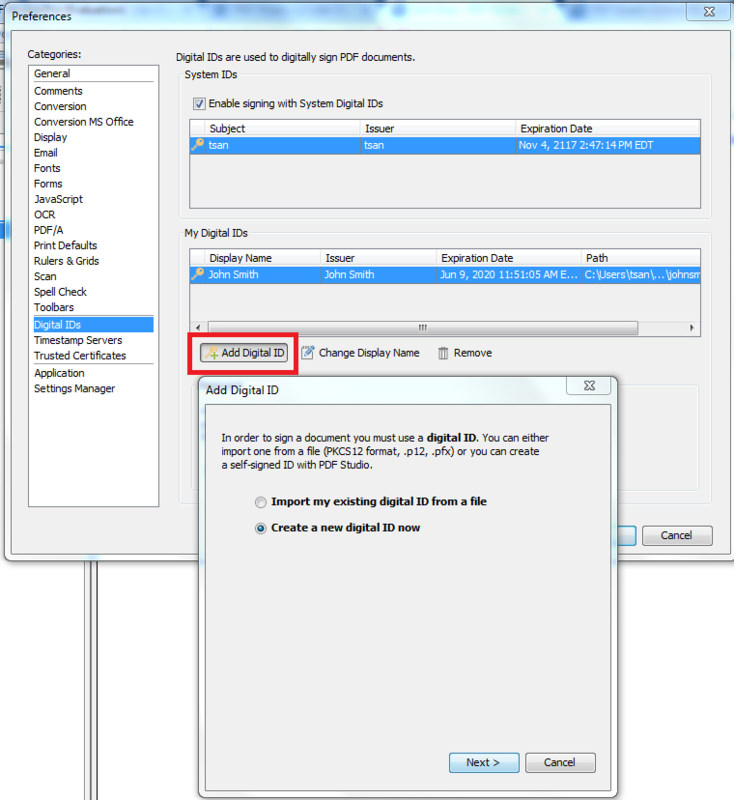 Q: How to create self-signed digital IDs in PDF Studio? A: In order to sign documents, you must first have a digital ID. 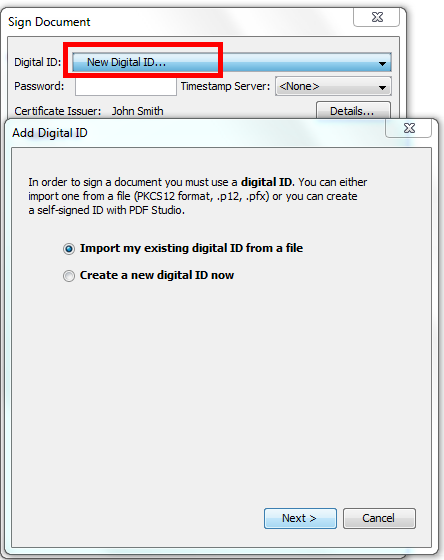 If you do not have an existing ID, you can use PDF Studio to create a new digital ID to be used when signing documents. 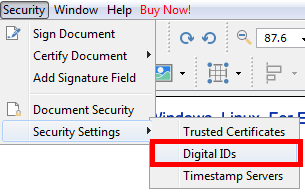 When creating a digital ID with PDF Studio, it is considered a “Self-Signed Digital ID” which means that it was not issued by a recognized root certificate authority (and you did not have to pay for it). Your readers will have to trust your certificate to see a full green check on your applied signatures because the ID was not issued by one of the pre-approved authorities. However, the content of the PDF is encrypted in the same way it is with any certificate and any subsequent changes made to the document can be traced back and will invalidate the signature. Go to Edit > Preferences (Windows & Linux) or PDF Studio > Preferences (Mac). Select Digital IDs from the panel on the left of the preferences dialog and click on Add Digital ID. Go to Security > Security Settings > Digital IDs and click on Add Digital ID.